Half a year has passed and it's time to summarise the achievements of the Estonian startup community. Be prepared for some interesting analysis about the development of the sector, statistics about biggest employers, investments, taxes paid, turnovers and much more. We've pulled in comments from some seasonal startup community members and prognosis of how the year is expected to end - most probably yet another year of records being hit! We do have to consider, that Cleveron and Adcash are now out of the age of startup lifecycle (>10 years) and Zeroturnaround had a successful exit last December. So the some 300 people employed in those companies and around 50M EUR turnover created by them are not part of the statistics anymore. Altogether we have 14 previous startups, now established tech companies we keep an eye on separately. Top20 startups count for 56% of the jobs created. Most recruiting over the past 6 months has been done by Transferwise (+120), Taxify (+34), Pipedrive (+28), Monese (+25), Starship Technologies (+19) and Leapin (+18). Newcomer in the top 5 of the headcount is Monese, with 77 total employees in their Tallinn office. 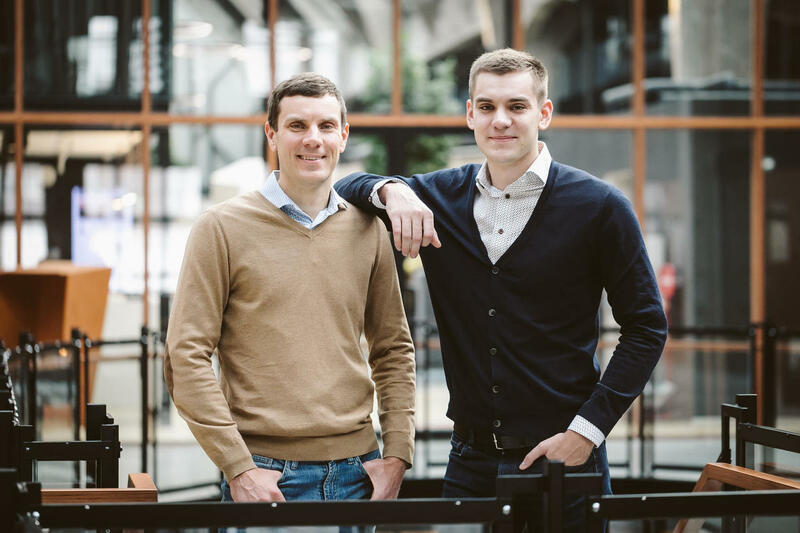 ''We could say that we are in the golden age for Estonian startups. Big ones are still expanding fast and small ones are able to fuel their business by capturing the knowledge/people spillover from the market,'' explains Martin Sokk, long-time Head of Product at TransferWise and startup HR specialist. ''For example, past hiring data shows that TransferWise headcount started to explode at around a year 2014 and Taxifys at the 2016 but if you overlay people growth graphs then their growth rates are almost identical, just 2 years apart. That means Taxify is in the same hyper-growth stage TransferWise was 2 years ago - meaning that they are growing 8-10 times people-wise and most of the people in the company have just joined. Exciting times. That expansion also demands more new people than ever before to join the scene. Missingpeople.io data shows that Estonian top startups are looking for a record breaking 460+ people to join their ranks and more than half (250+) of these positions are located in Estonia,'' he continues. Our startups keep increasingly contributing to our economy through employment taxes. With 20,8M EUR in employment taxes paid on the first half of 2018, we see a 25% growth when compared to same period of last year (16.6M EUR). When looking at the development phase Estonian startups are in, then still the vast majority is in the pre-revenue or very early revenue stage, although as seen from the graph, there are some startups with outstanding turnovers. In 2017, our startups generated 275M EUR in annual turnover, and this year 55% of it has already been reached. 2nd part of the year last year was somewhat more active than the 1st, so when comparing with the 1st half-year of 2017, we are seeing an 11% growth. Have you ever caught yourself wondering about the differences of startups and other companies with more traditional business models? We at Startup Estonia definitely have and our policy-makers have as well. Recently, in cooperation with Ministry of Economic Affairs and Communications we put our startups head to head with all companies with the age of up to 5 years, looking at their employment. As we know, new companies are responsible for the majority of new jobs (according to Kaufmann Foundation), especially in the very first 5 years of activity. We found that startup companies create 5 times more jobs than rest of the companies. The biggest ones definitely raise the average, but the average annual growth of ⅓ of the whole sector is remarkable. We also crunched the data from another angle to understand, how do the jobs in the startup sector compare with other companies. Startups pay twice as much employment taxes on each employee, which states that startups are responsible for well-paid job creation. We’re on the road to another record year for startup investments. With 245,6M EUR currently invested to Estonian startups during the first 6 months, we are just 26,5M EUR away from reaching the last year's investment amount. Experts have said, that we can expect up to 350M EUR of investments by the end of the year. In total, there has been 15 deals, making the average deal size 16,3M EUR. Last year the average deal size was 6,8M EUR and the years before that it has been around 1-2,5M EUR. The high average deal size is driven by some big rounds. Leading, of course, is Taxify’s massive 150M EUR investment round, led by the German automotive giant Daimler. ‘’We are using the investment to develop our technology and to make further expansions, primarily in Europe and Africa,’’ says Markus Villig, the CEO and co-founder of Taxify. ‘’Our biggest challenge is growing the best team. By the end of the year, we are looking to add 300 people, with emphasis on engineers and data scientists,’’ he continues. After the investment news, we welcomed Taxify to the club of unicorns started from Estonia. Being the birthplace of Skype, Playtech, TransferWise and Taxify, Estonia is now the country with the most unicorns per capita in the world! Taxify has seen a tremendous growth, with currently having 500 000+ drivers and 10+ million users. In 2017, number of employees working in Taxify’s HQ in Tallinn increased from 30 to 174 (additionally +150 in their offices abroad) and turnover increased from 2,8M EUR to 17M EUR (6x). In first 6 months of 2018, Taxify has added 34 new employees and their turnover is already bigger than in 2017 - reaching 20M EUR. Pipedrive secured a 42,9M EUR Series C round, co-led by Insight Venture Partners and Bessemer Venture Partners, with the goal to expand its product, develop its business globally and potentially make acquisitions in the CRM space. ‘’Our investors share a pretty similar vision with us on the future of Pipedrive and its position on the competition-heavy CRM market. Our ambition is to turn Pipedrive even better and more global, to empower the salespeople around the world, helping the salespeople focus on selling and the sales managers on creating the best possible conditions for them,’’ says Timo Rein, CEO and co-founder of Pipedrive. Lift99 raising 2M EUR to develop a skillsharing platform for founders. In terms of new jobs created, the effect of these investments will be seen in the next 12-18 months. It is predicted that the investments for this year alone can create 1500-2000 new jobs, which would accelerate the usual growth we see during the last years of around 700-1000 new jobs created yearly. According to research conducted by PwC, there has been 323M EUR raised with ICOs in Estonia with just the first 6 months of 2018. That makes Estonia the 7th leading ICO country in the world after Switzerland and before Lithuania. On the regulation side - FinanceEstonia has started an ICO expert forum, with the aim to create entrepreneurial-friendly ICO regulation. We'll be covering more of what's new in the startup community and education sector in early September. Stay tuned for our next blogpost!